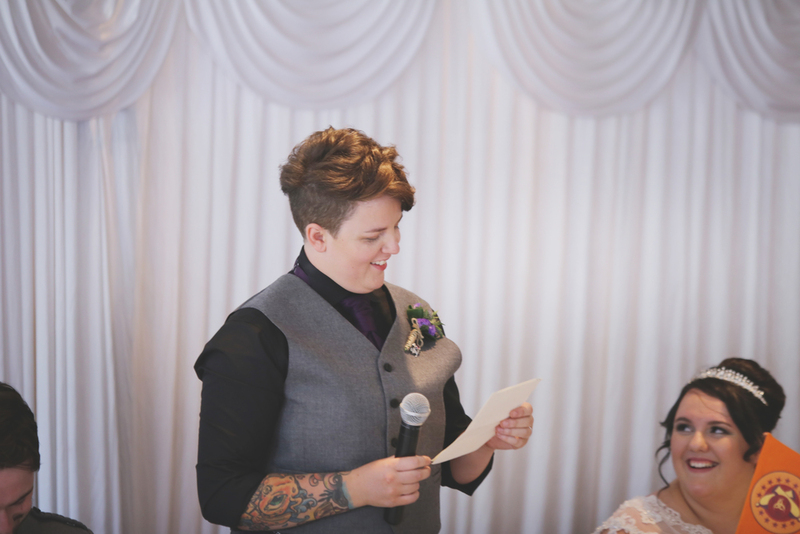 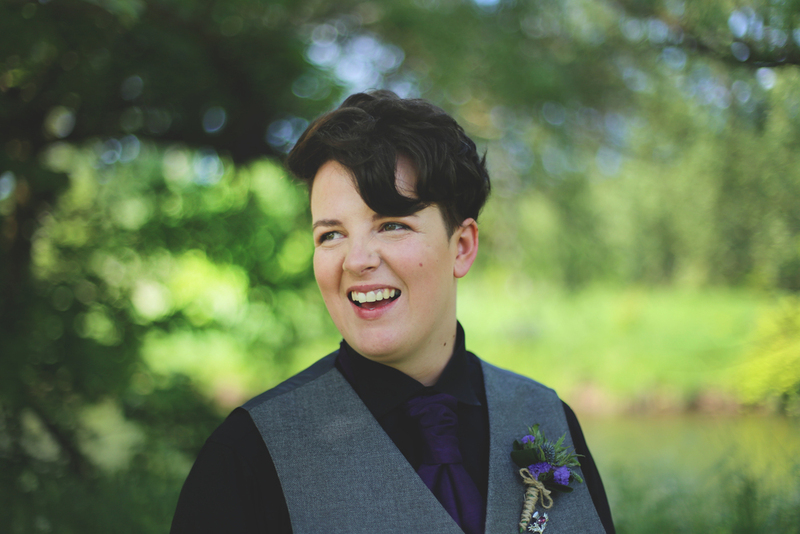 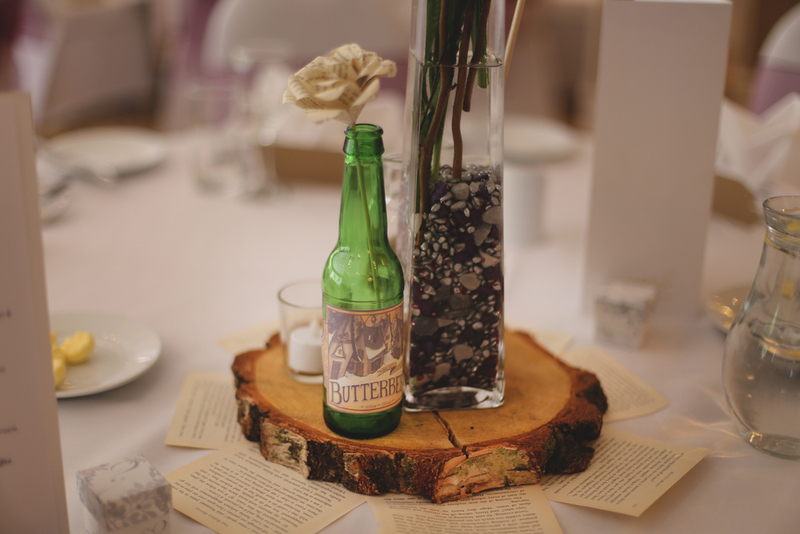 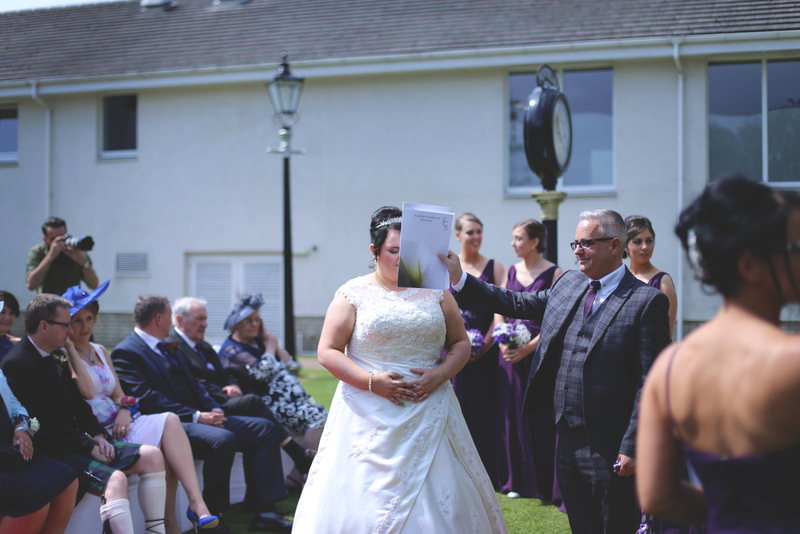 Okay first of all, I got sun burnt photographing this wedding. 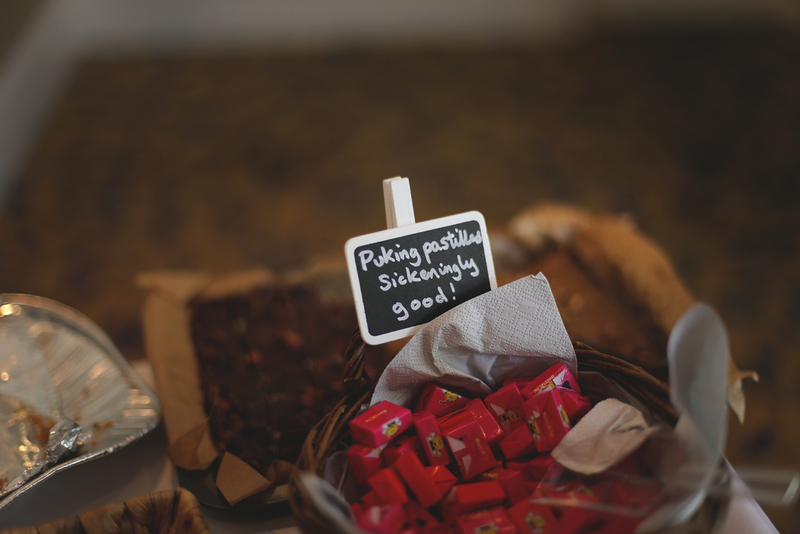 Like badly. 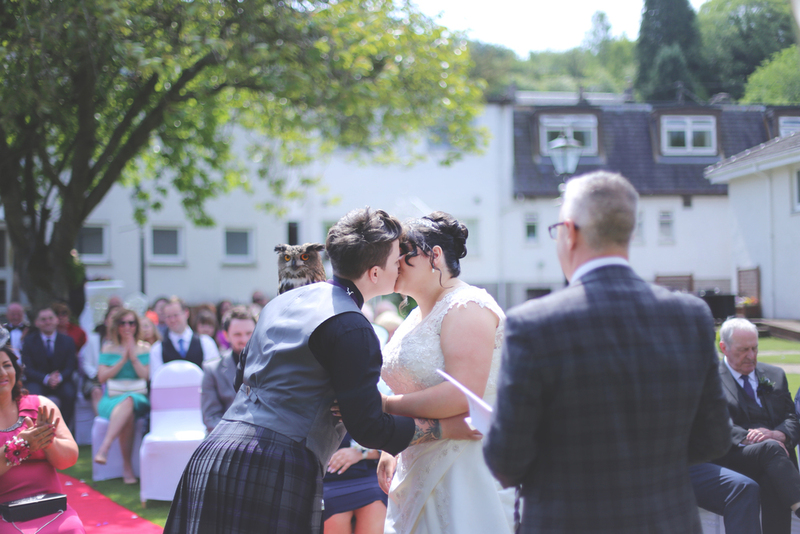 Which is something I never thought would happen in Scotland! 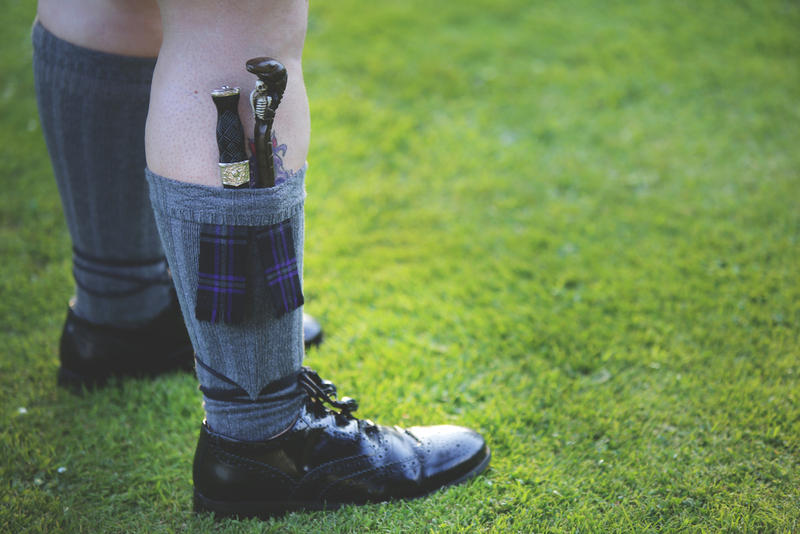 I have now had to rethink my all black work outfit because of this! 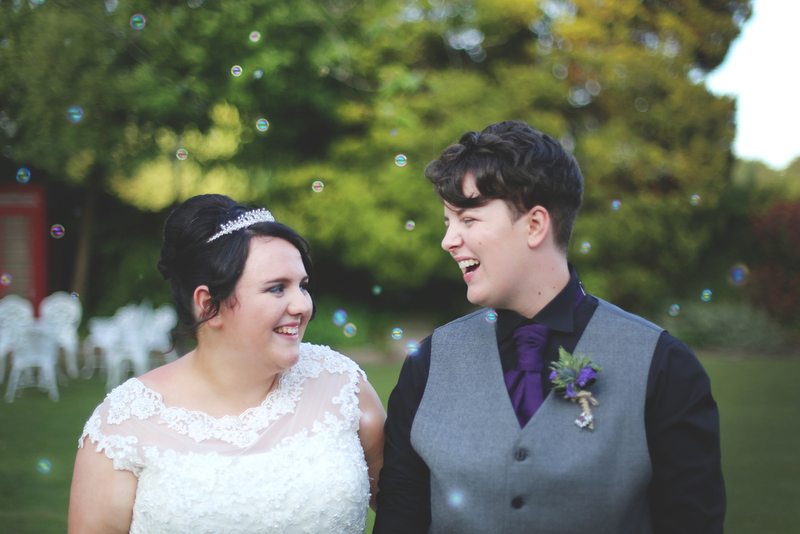 Anyway, Hayley and Christina are awesome. 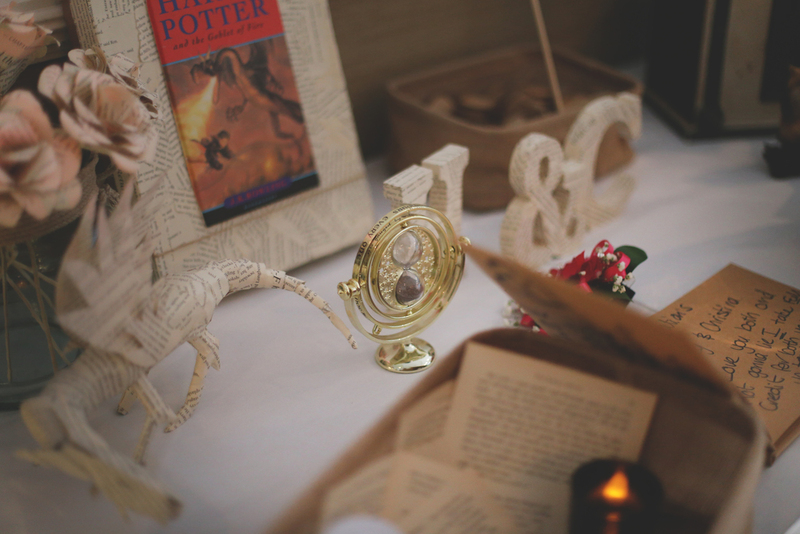 Their day was super fun filled with a strong Harry Potter theme running throughout. 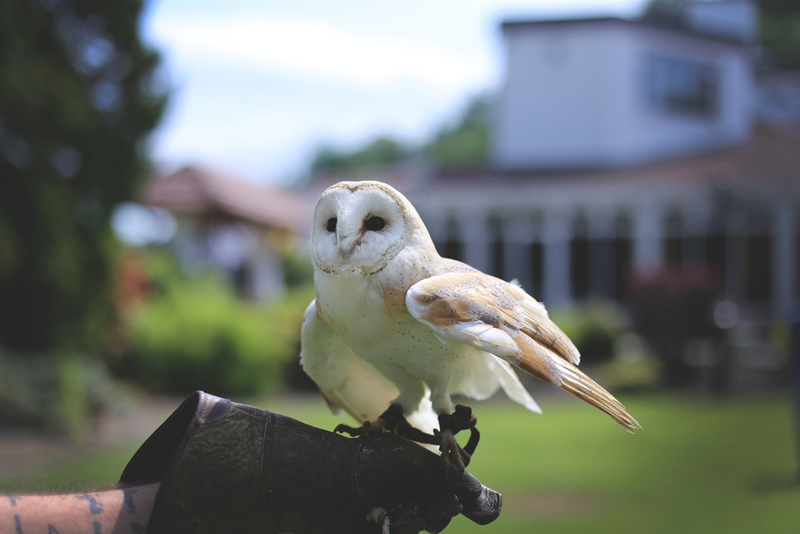 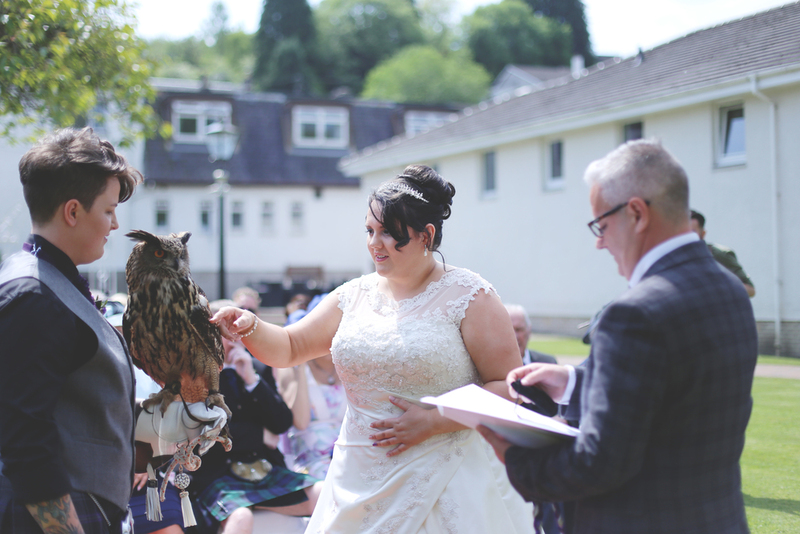 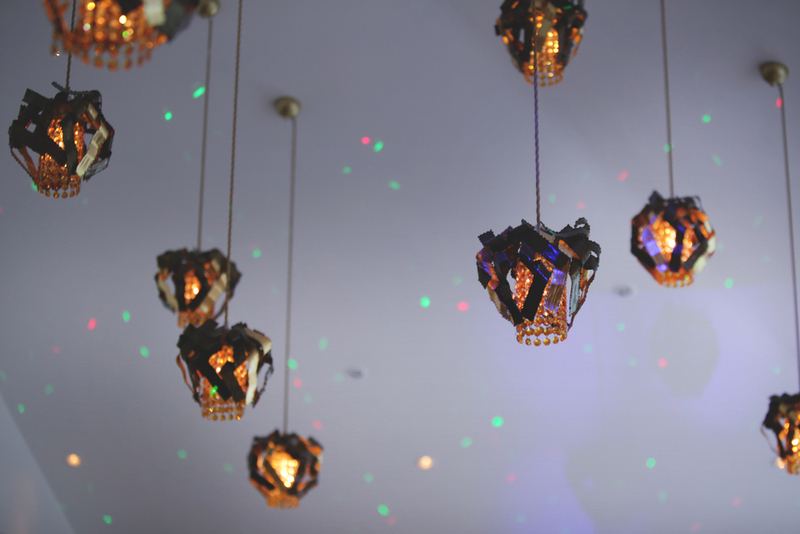 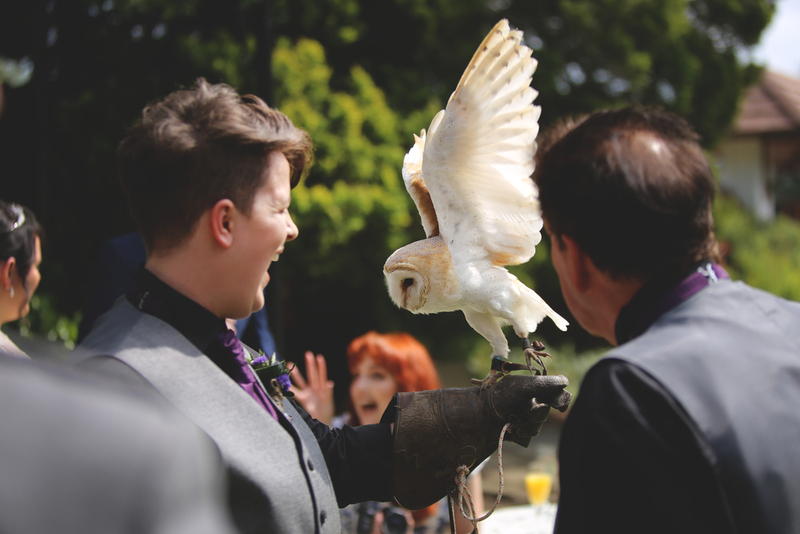 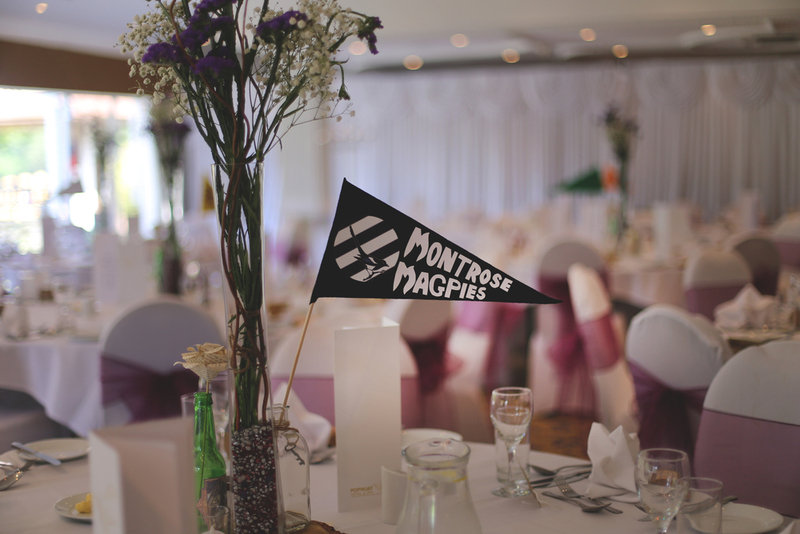 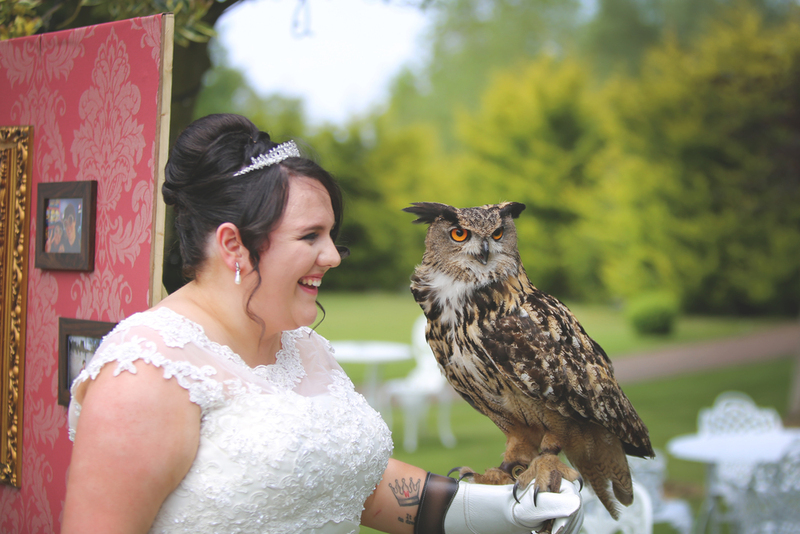 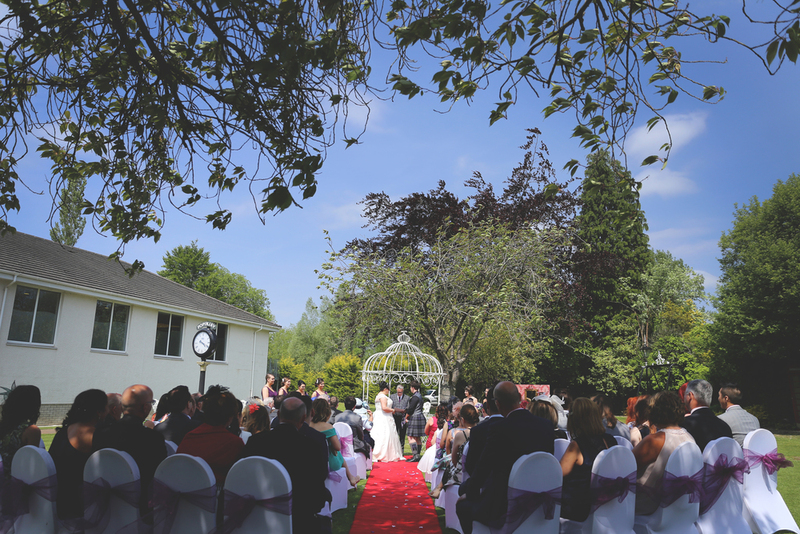 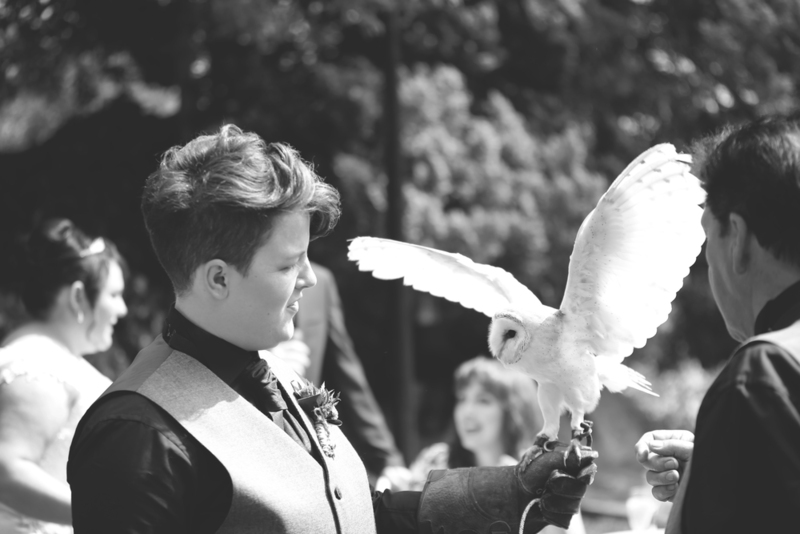 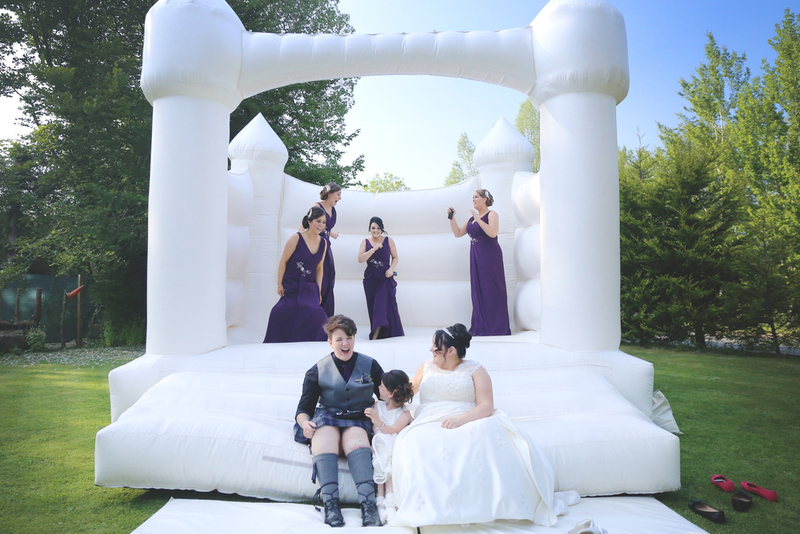 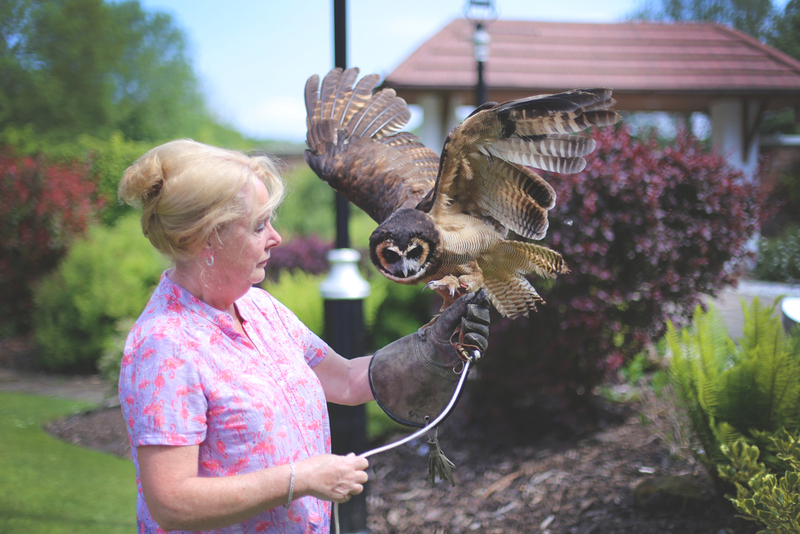 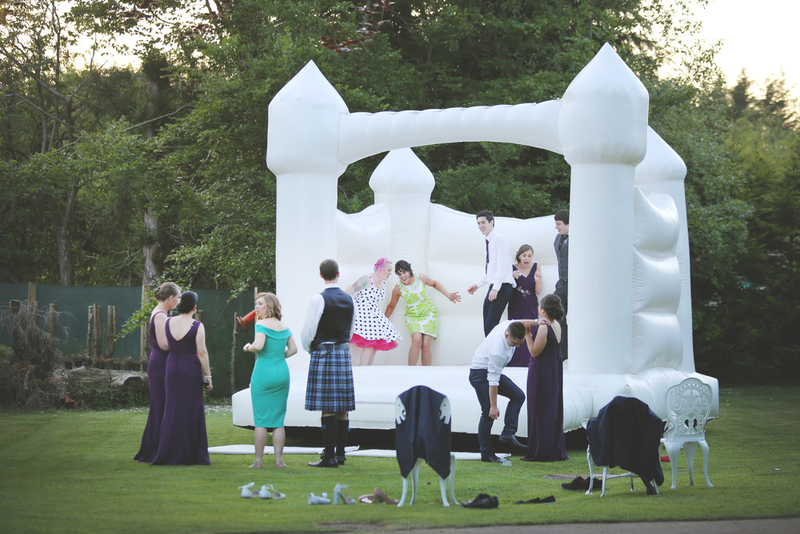 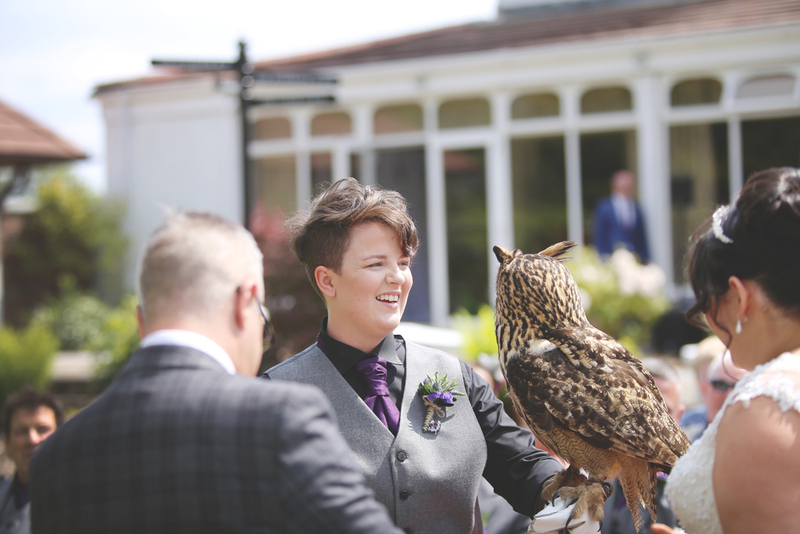 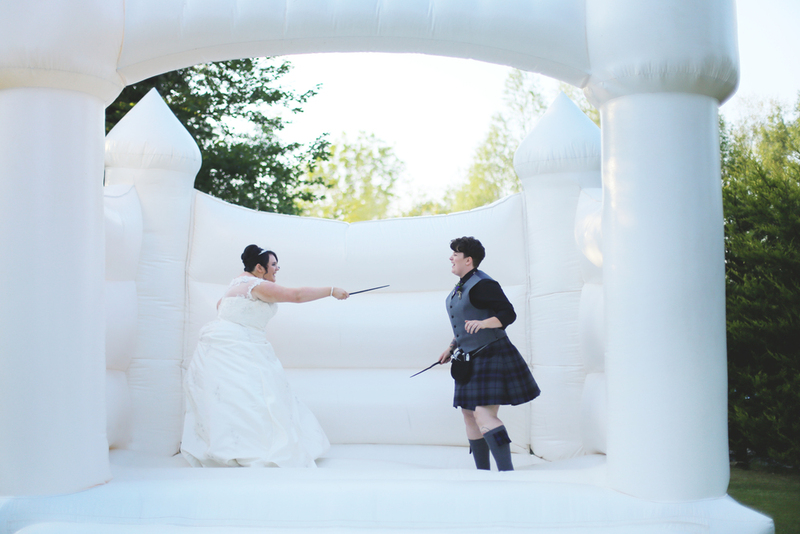 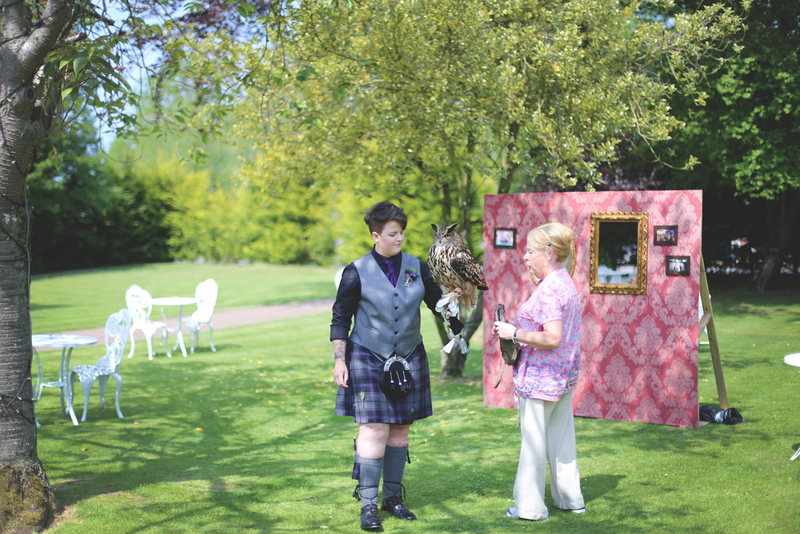 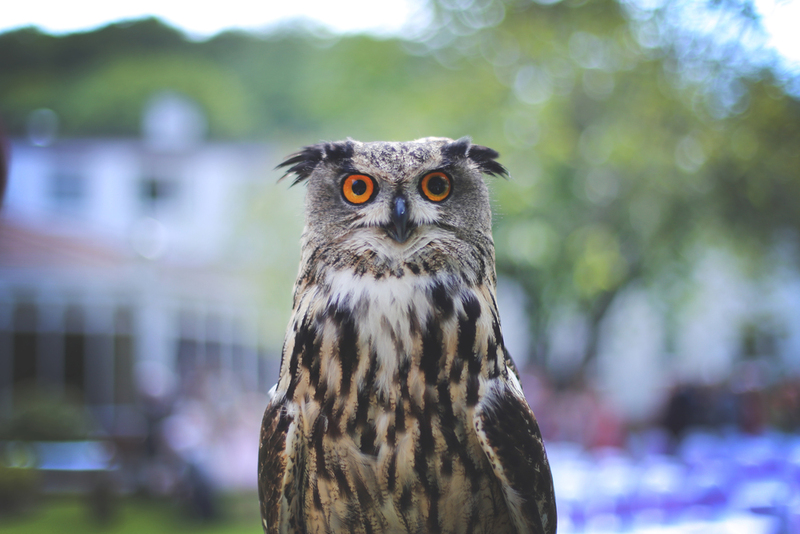 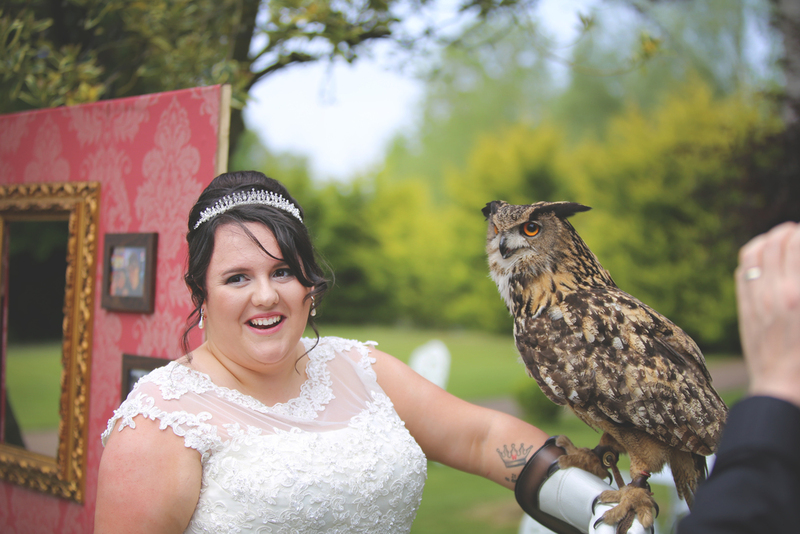 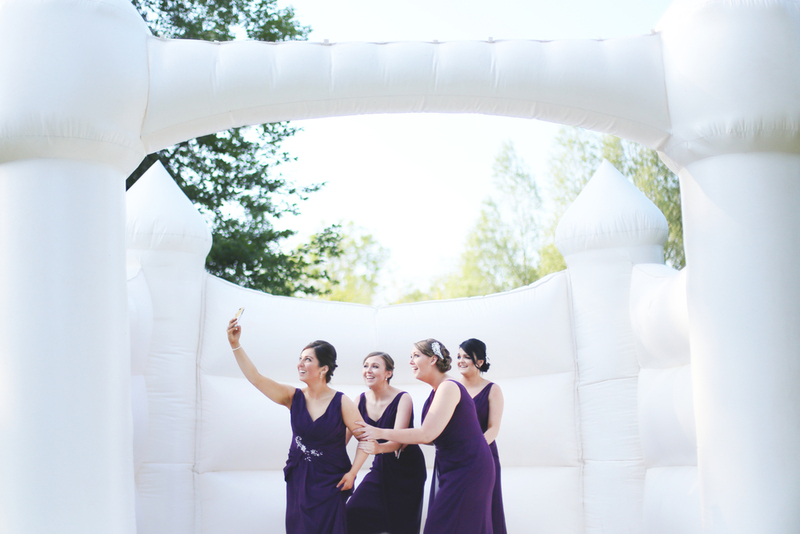 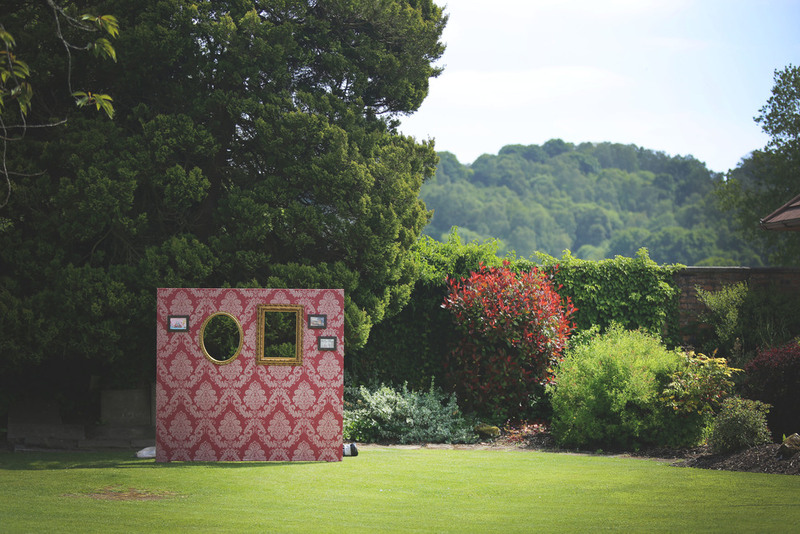 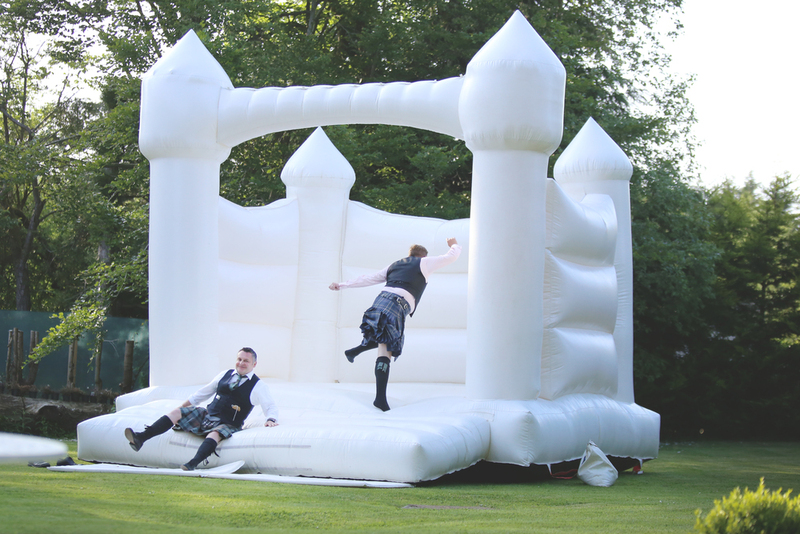 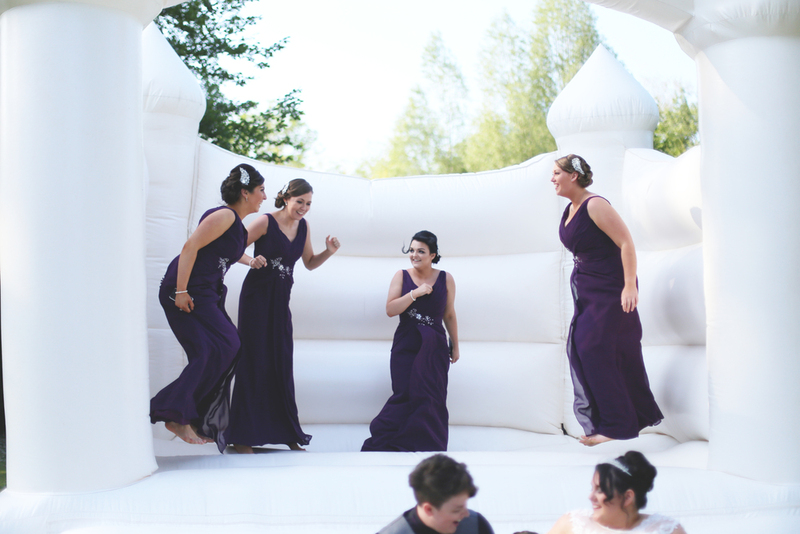 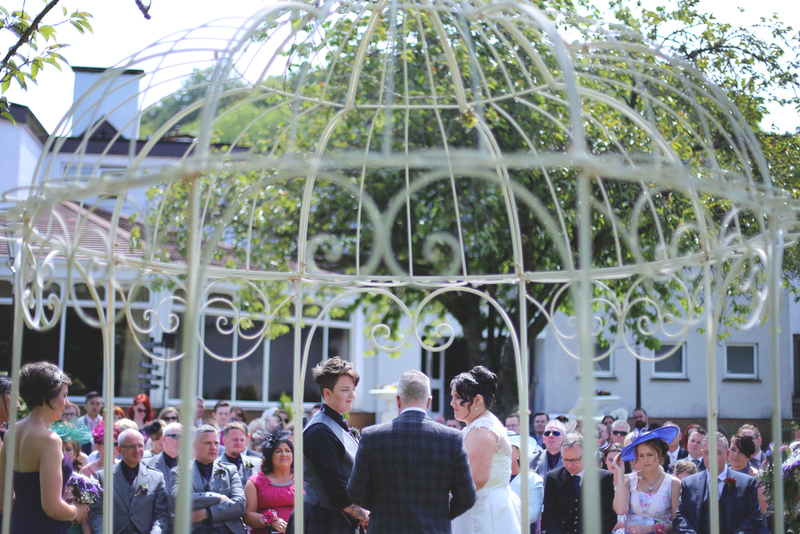 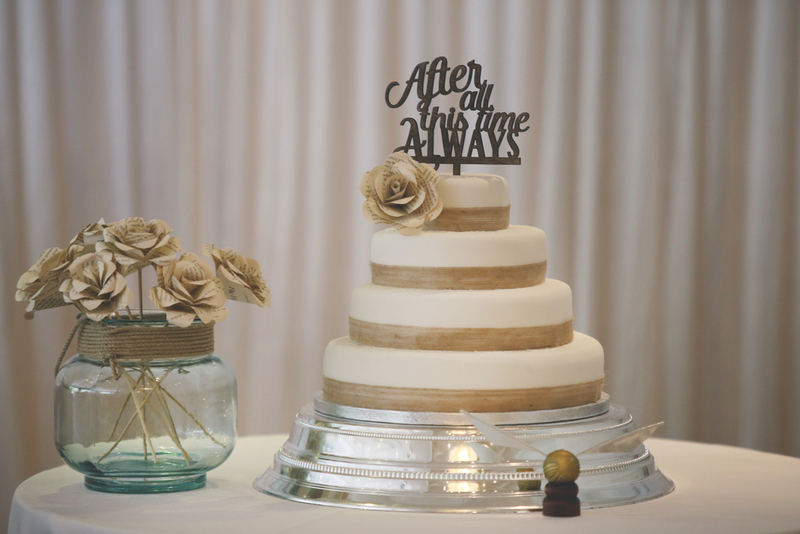 From real owls to a giant bouncy castle, the guests were never bored. 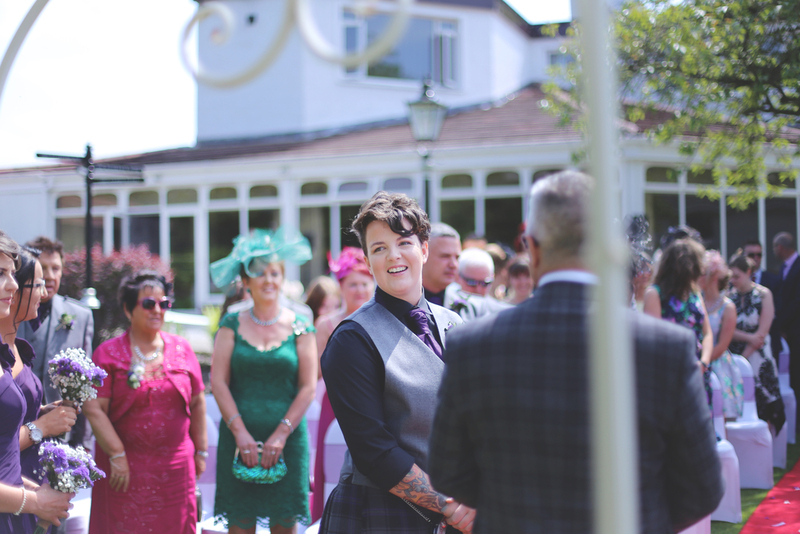 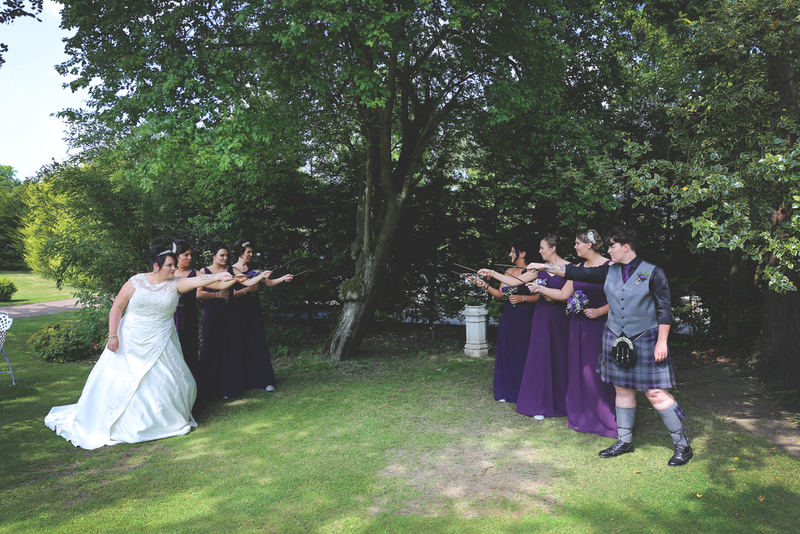 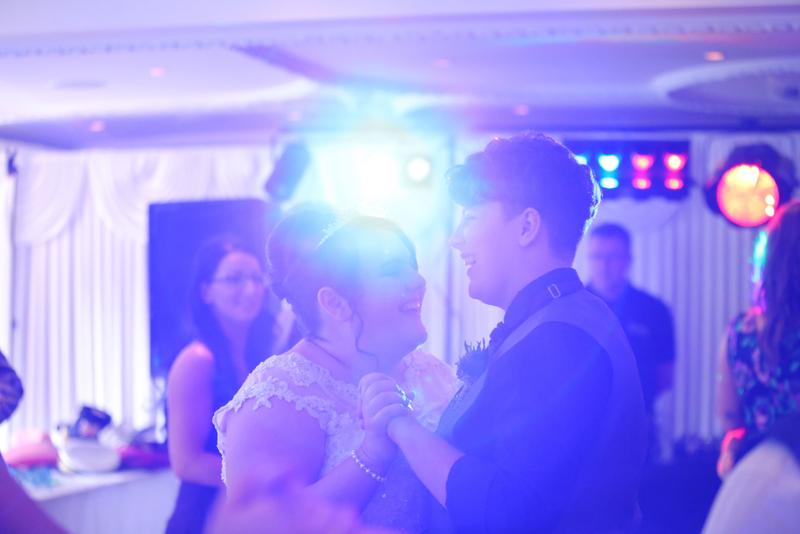 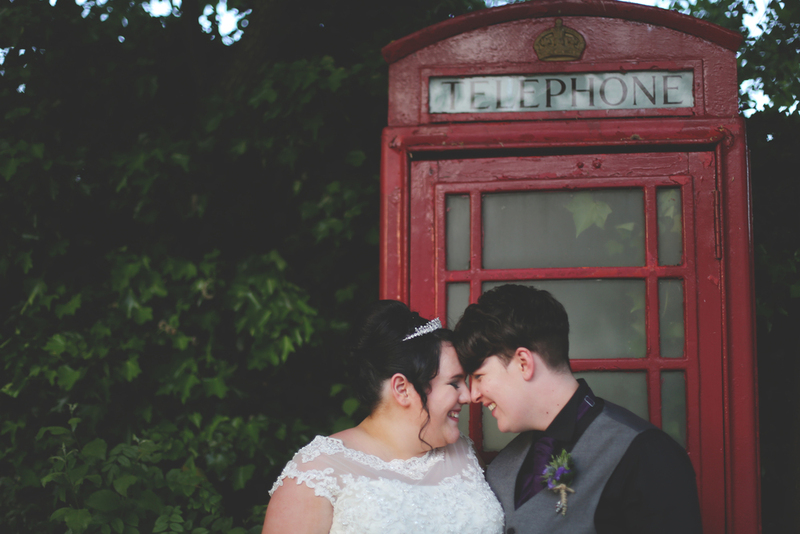 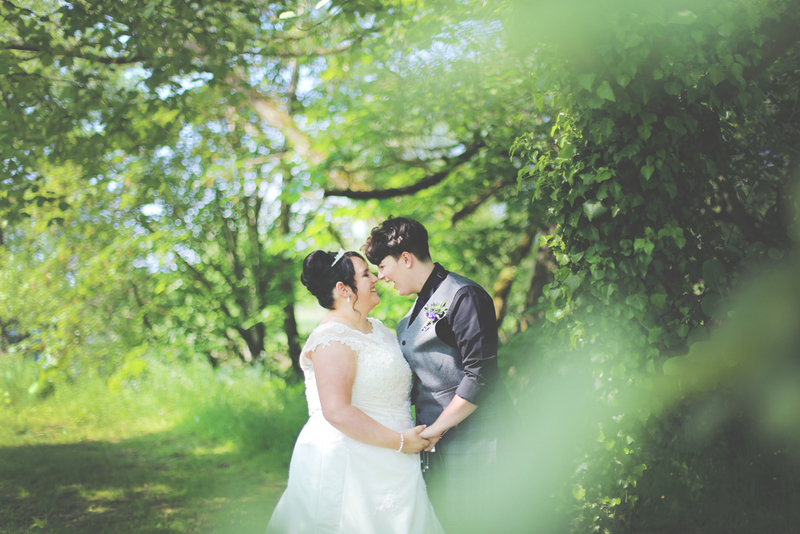 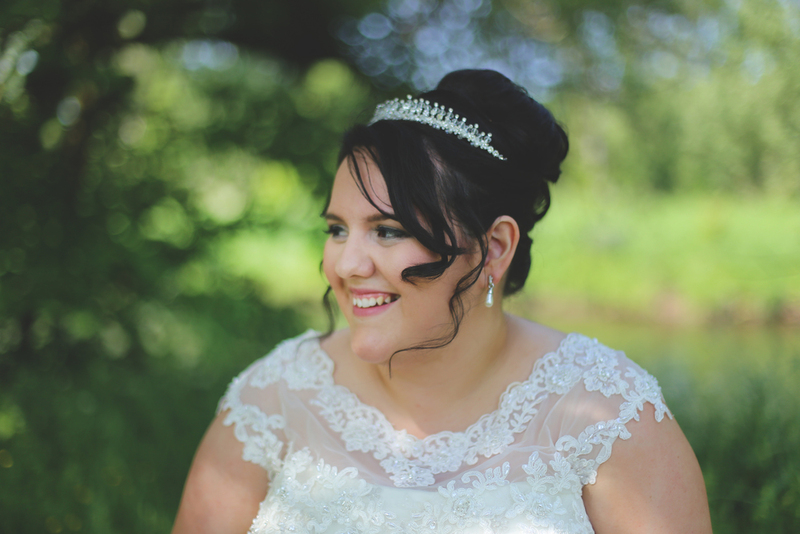 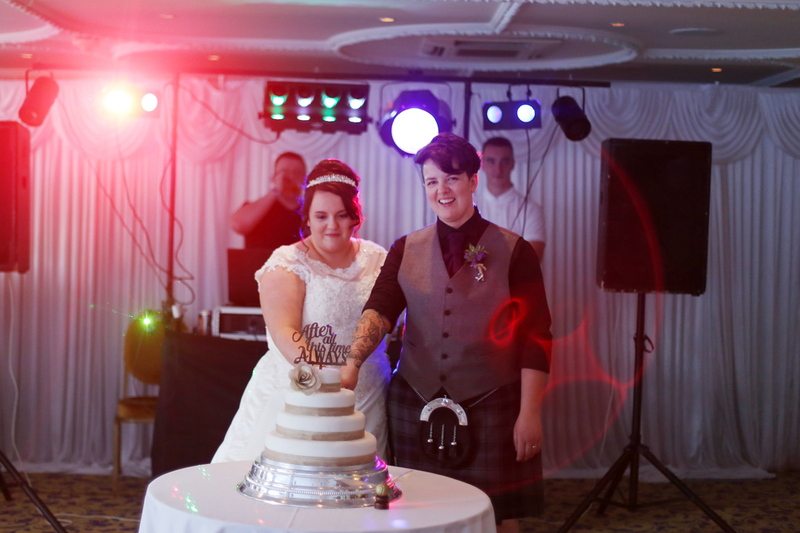 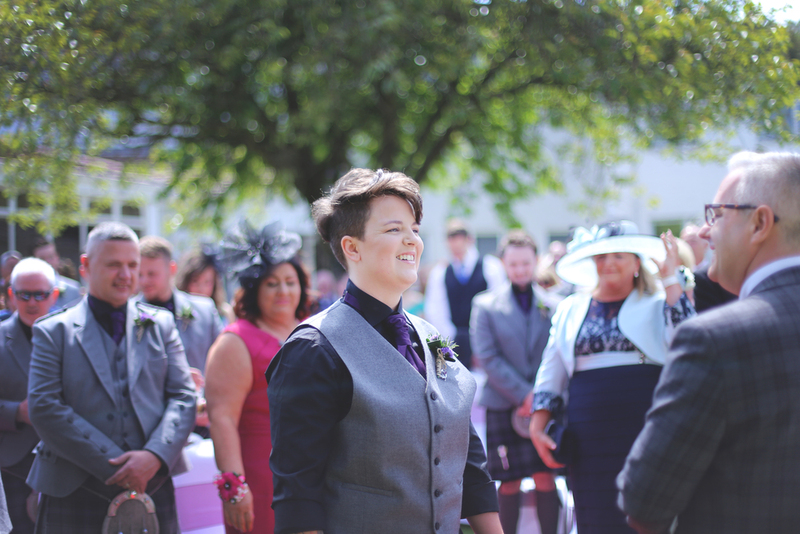 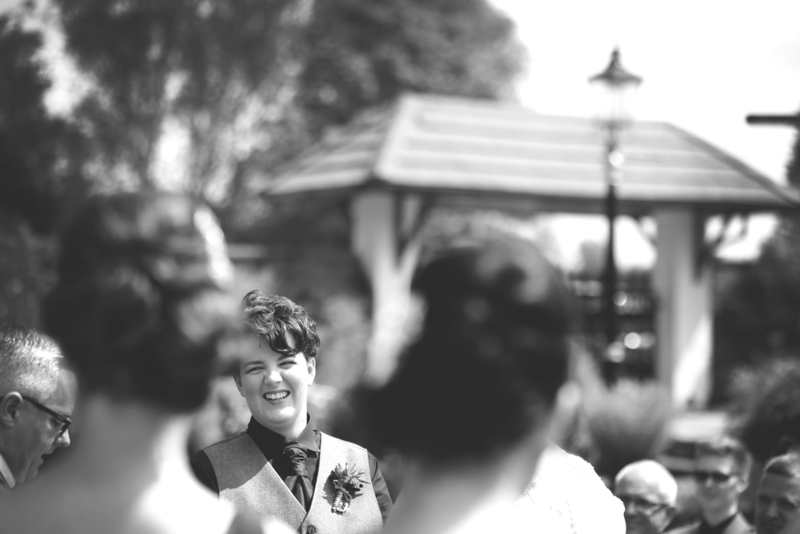 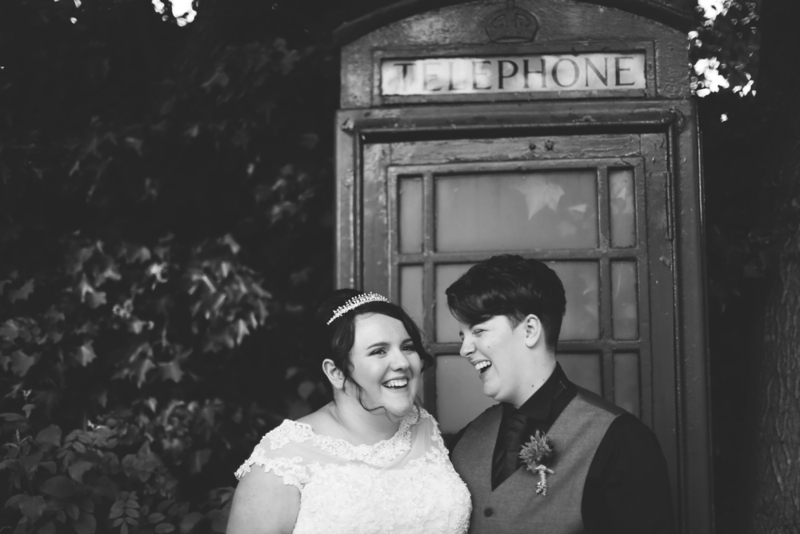 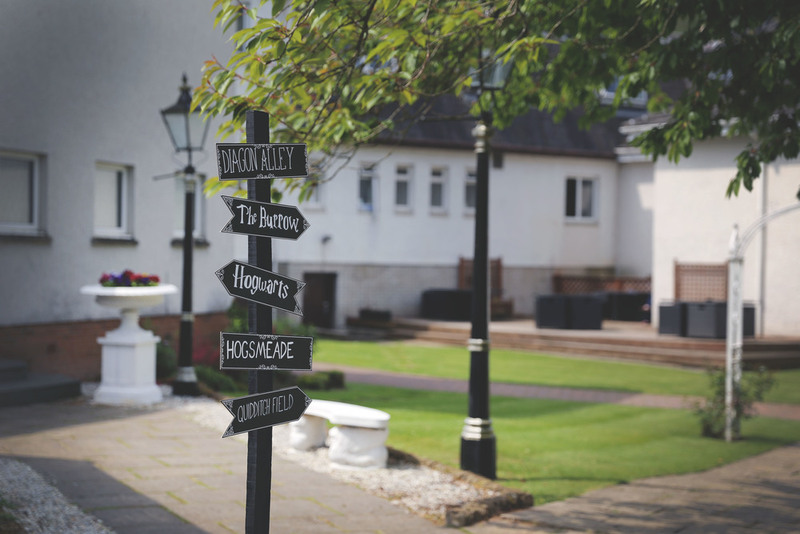 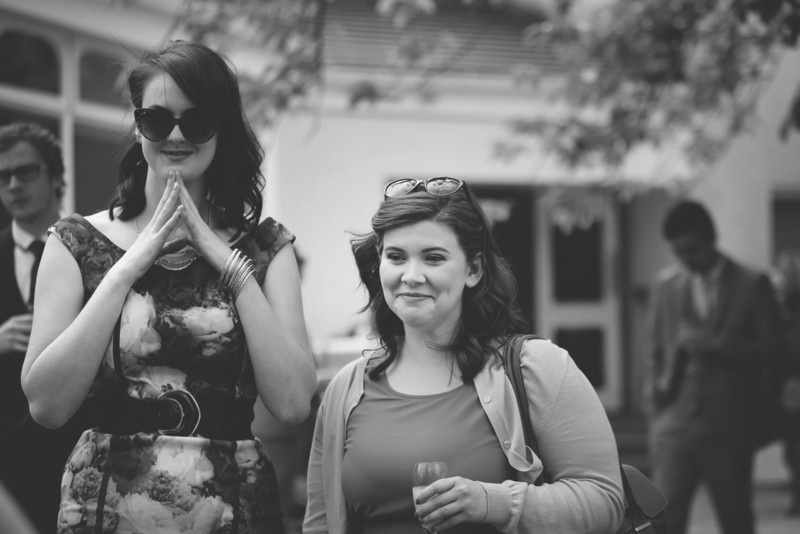 The Popinjay in Lanark was a brilliant venue and the girls got married outside in the beautiful garden. 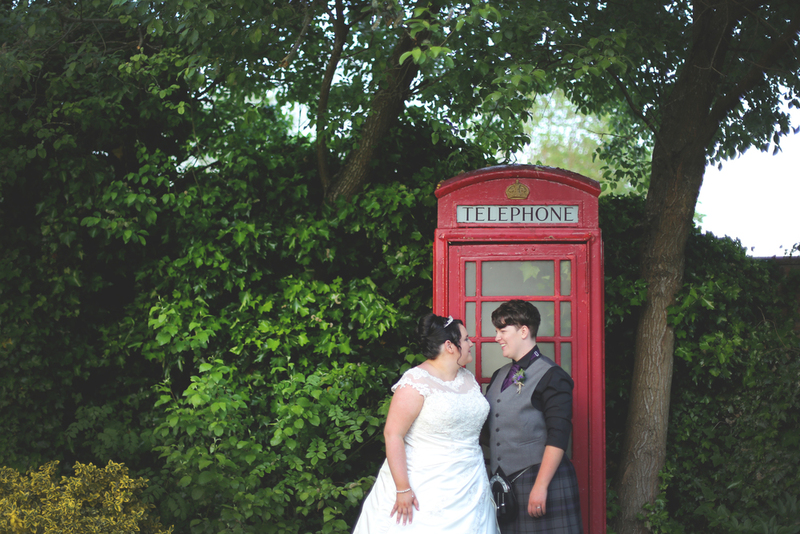 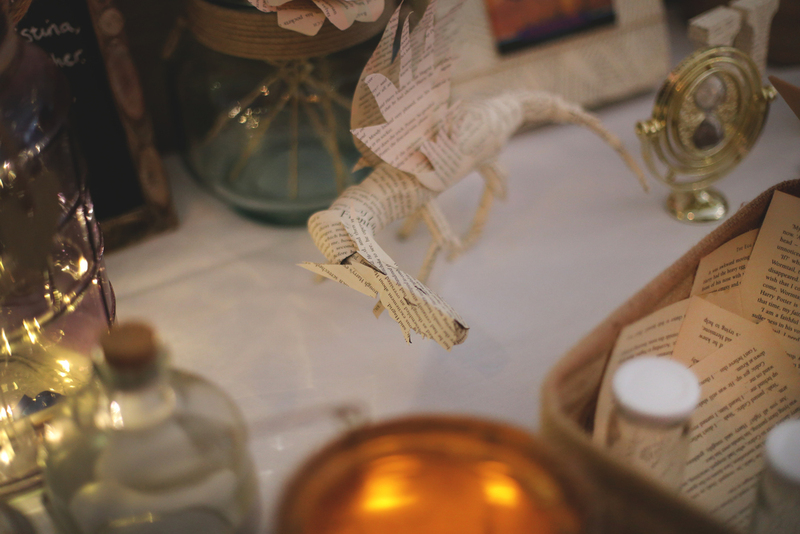 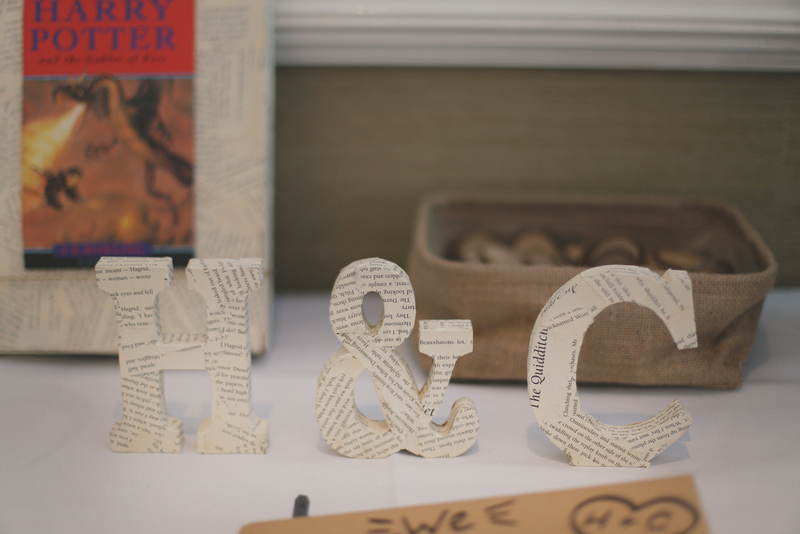 Here is a few favourites from the day. 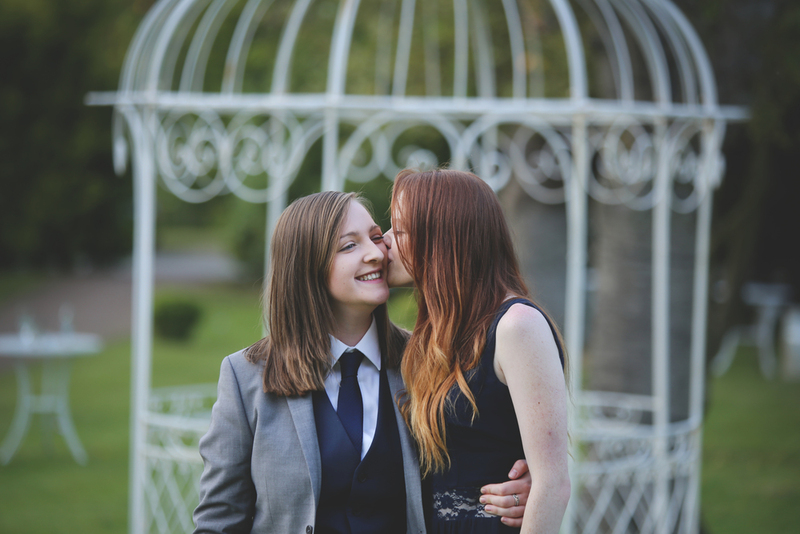 My absolute favourite is Hayley and Christina's first kiss photo! 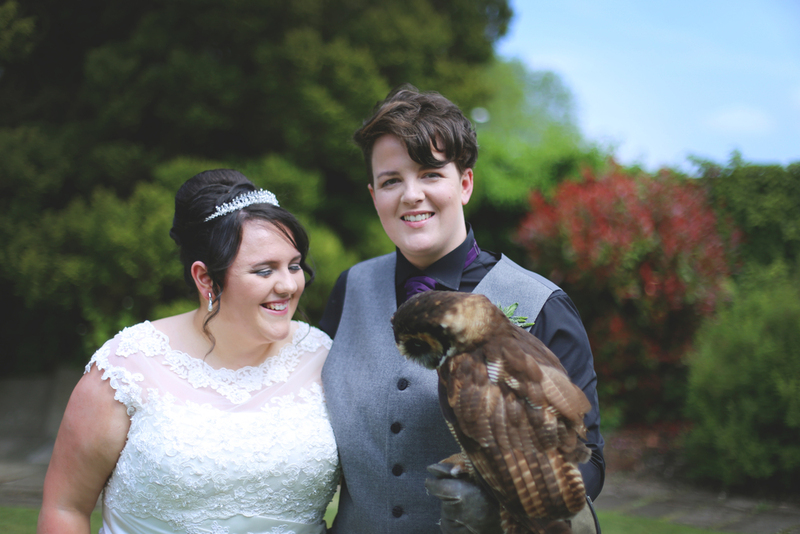 I loved it so much I had to send it to them straight after I edited it. 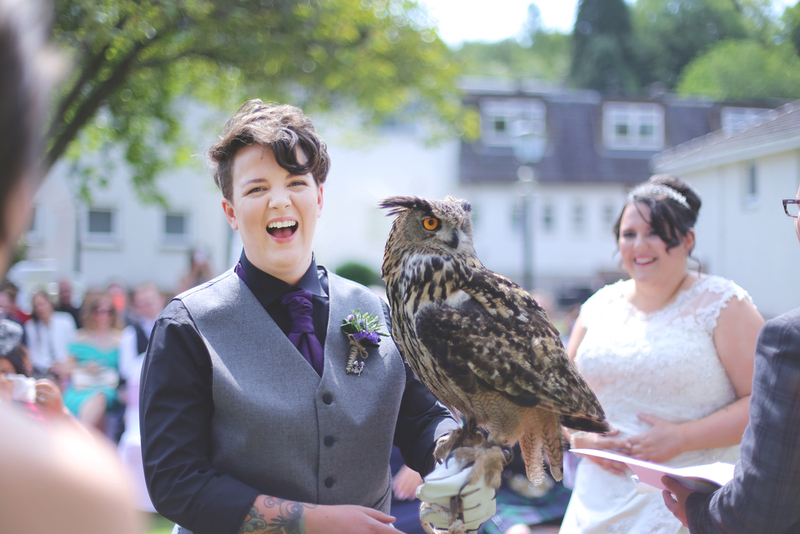 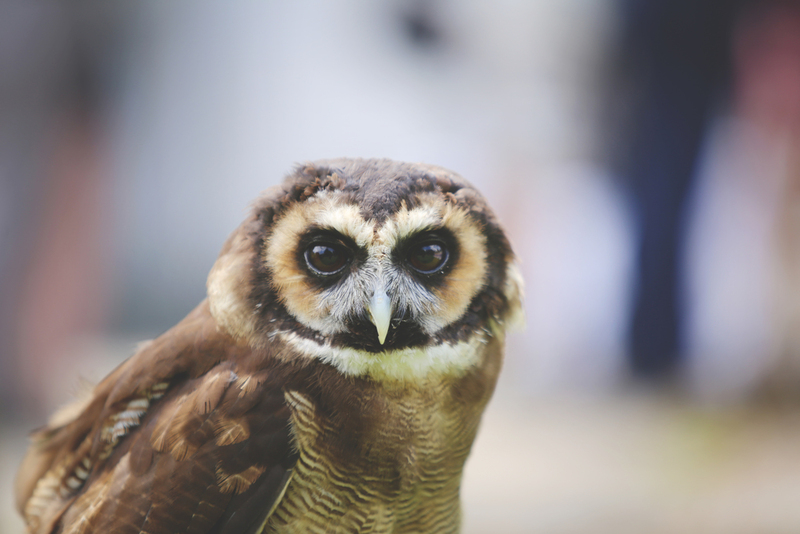 The owl is like "WHAA?!"